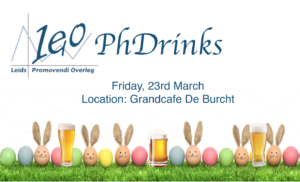 You are cordially invited to our next monthly PhDrinks! 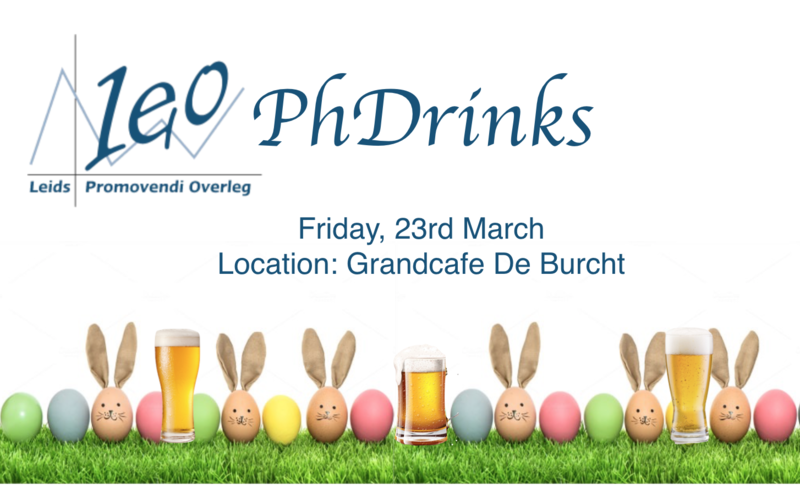 This time it will take place on Friday, March 23rd at the Grandcafe De Burcht, starting at 20:30! This night the place is hosting a Jukebox music party (more information on their page: https://www.facebook.com/events/765754263621640/) and as always, the first round of drinks is on us! To get a voucher for free drinks all you have to do is to ask one of the LEO’s members when you get there. Thank you for your comment! We will try to add some information for those who are new! If you have any precise suggestion, don’t hesitate!